Hike 2 miles one way to the Sycamore Pass Tank of this 5.4 mile difficult trail. You will view the remote Sycamore Basin wilderness area far from any crowds. The very scenic drive is 11 miles on dirt roads, with the last mile being rough. A high clearance vehicle is recommended. The trail has gorgeous, scenic redrock formations not visible from Sedona. The footing at times is difficult with loose rock to contend with. 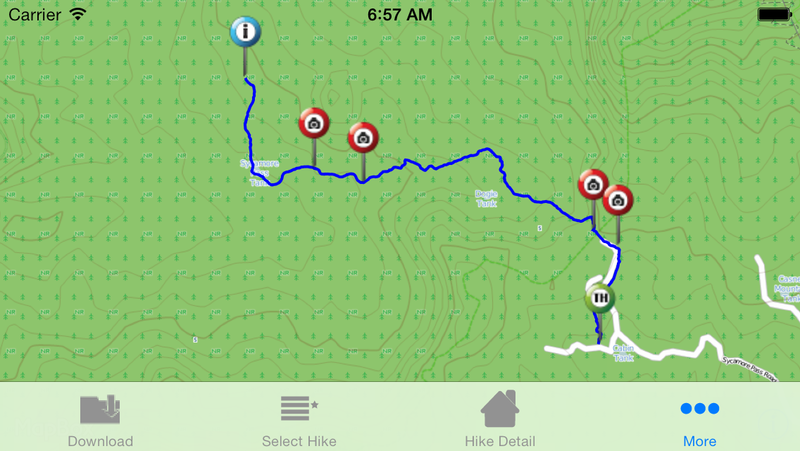 Do not try the entire 5.4 miles (10.8 round trip) unless you are a prepared hiker. The uphill elevation will be on the return hike making it even more difficult. Dogie has a 400 foot elevation change.